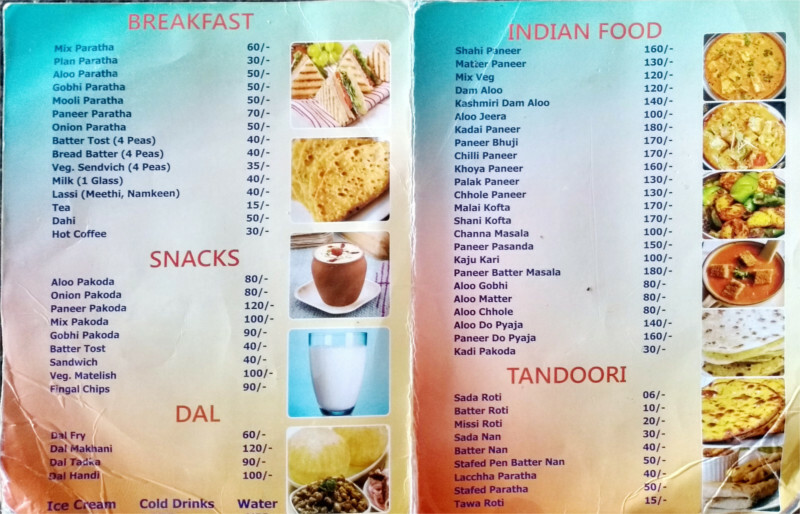 In some parts of India the options for a quick meal-stop on a highway are changing. What once used to be a market aimed solely at long-distance truckers has diversified. Now one also sees some clean restaurants and rest rooms, an occasional potted plant on the table, interesting wall paper, places to charge your mobile phones. We stopped at one such and looked at the menu. Choosing was hard. Would we prefer four peas of batter tost to veg sendvich with the same number of peas? What was veg matelish? Would you like to order a side of fingal chips? The matter paneer or the shani kofta would be too heavy, we thought. The Family absolutely didn’t want a stafed pen batter nan. When the waiter appeared, we chickened out and just asked for a chai each. The chai was good. When I don’t have much to do I go around taking photos of restuarants. 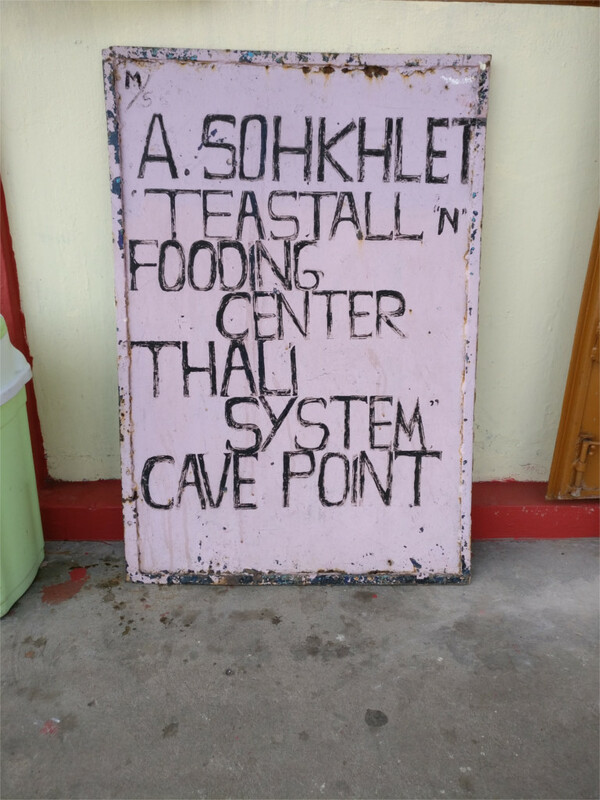 At the Mawsmai caves, while I waited for people to make up their minds about which way the arrows point, I decided to record for posterity the variety of food available. No matter what food you could find, all the restaurants around here were neat and very clean. Indian and Chinese food, of a kind unrecognizable by any Chinese, are expected, I guess, but one restaurant added Bengali to the list. Interesting. I don’t suppose they have many visitors from Bangladesh, although the border is not far away. Another place was no less inventive; it threw Assamese food into the mix. Indian food should mean food from every part of India. If you start differentiating between Bengali, Assamese, Goan, and Guajarati food, then I wondered what Indian food meant. Perhaps roti, dal tarka, and paneer, typical truck-stop food on the highways. I suppose the subtext is that these places do not have Khasi food. But the chocolate cake goes to the little board which you see here. No fancy names like Victuals or Spring, this cut to the bone: it was a Fooding Center. 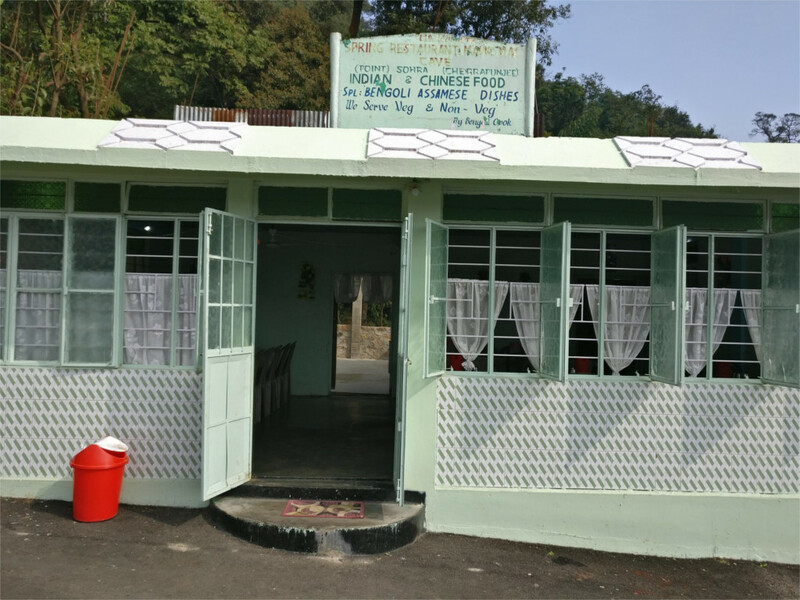 It meant that this tea stall did not serve momos. We had to find our chicken momos at a different stall, next to a restaurant with the Khasi delicacy called jadoh, rice and meat. Yes, we know it is getting hectic. The pressure is building up. All that shopping! Not that there are that many daylight hours either. Isn’t it nice that there’s always someone to look out for you? Eating in or eating out? The little islands of Ritchie’s archipelago have small populations by Indian standards. Neil Island has a permanent population of about 3000, with about that many more tourists in peak season. A large fraction of the population runs restaurants. Signs such as the one in the featured photo were common. We also read one which promised "North and South Indian, Bengali, Continental, Chinese, Israeli and Bhutanese food". I had looked at these signs as indicators of where most visitors came from, but the reference to Bhutanese was a jolt. It is unlikely that there are many Bhutanese tourists here. Perhaps it is a nod to the fact that momos are popular all across the northern part of the country. 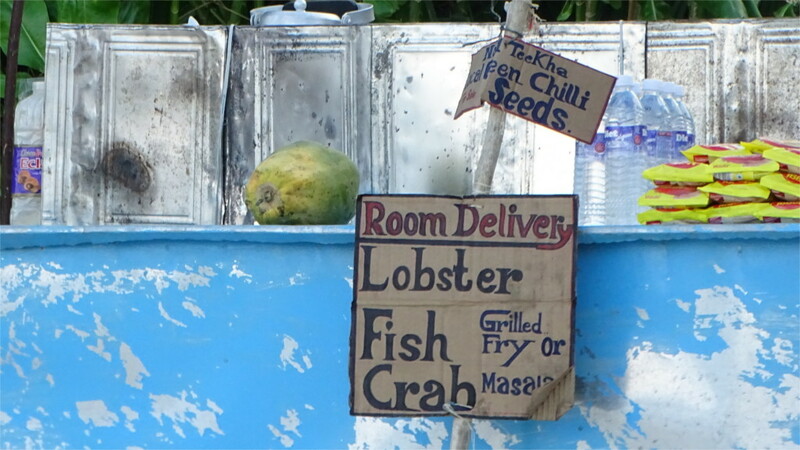 On our first day in the island, we came across this little stall on the beach. While we had a tea, the man told us about what he could get us for dinner. His recommendation was lobsters, and the price he offered was good. He insisted that The Family take down his phone number. If we ordered he would deliver the dish to our room in the hotel. Unfortunately, we never got around to ordering. There are too many walk-in options. What sea food we ate on the island was wonderfully fresh. Author I. J. KhanewalaPosted on January 24, 2017 February 10, 2018 Categories Food, IndiaTags Andaman islands, beach eating, Neil Island, restaurantsLeave a comment on Eating in or eating out? Two things about ordering food in restaurants in China take getting used to. The first is that you order everything together. There is no real distinction between appetizer and the main dishes. You choose all that you think you will find edible, order it, and it will arrive as it gets ready: do not expect appetizers to arrive first. We reconciled it with our Indian experience by thinking of a Gujarati thali, where again, everything arrives in any order whatever, and you can go back and forth. Exactly like that, in Chinese restaurants, the rice is more or less the end of the meal. The second is when to pay. In some restaurants you get a bill at the end of the meal. In some, especially the smaller establishments, you order and pay and then find a table for yourself; only then should you even expect the food to arrive. There is also the third method: the food and the bill arrive together, and you pay before you begin to tuck in to the meal. We do see all three methods in India, the problem is that our expectation of which restaurant will use which method is wildly off. That’s cultural differences for you. Don't hold your breath Create a free website or blog at WordPress.com.